Giorgia Bronzini (Cylance Pro Cycling) has won the last stage of the Madrid Challenge. The rider took the victory on her last day as a professional rider ahead of Sarah Roy and Charlotte Becker. The second stage of the Spanish race was 100.3 kilometres long and took place in Madrid. The peloton remained compact in the first kilometres and with 12 laps to go Aafke Soet (WNT Rotor), Annelies Dom (Lotto Soudal), Rozanne Slik (FDJ-Nouvelle Aquitaine-Futuroscope), Ariadna Trias (Sopela Ladies) and Lucia Gonzalez (Bizkaia Durango) attacked and created a gap of more than half a minute with the rest. With 54 kilometres remaining, Trias was dropped from the front but six kilometres later the escape was caught by the peloton. Moments later, a group of 19 riders managed to break free and included names like Ellen van Dijk, Lucinda Brand (Sunweb), Audrey Cordon-Ragot (Wiggle High 5) and Ilaria Sanguineti (Valcar PBM). Behind them, Ale-Cipollini and Wiggle High 5, among others, took turns in the pack to force a final bunch sprint. 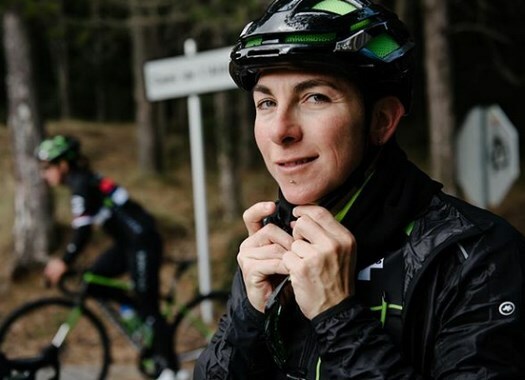 The peloton was compact with two kilometres to go and engaged in a bunch sprint that was won by Giorgia Bronzini (Cylance Pro Cycling), on her last day of racing as a professional before moving to a directing position at Trek. Ellen van Dijk arrived with the bunch ahead of teammate Coryn Rivera and topped the GC classification. Leah Kirchmann stepped on the third position of the final podium.